Yuki wouldnt win. Boba is far smarter not to mention he took out a world devastator and countless jedi. Anime characters are given way to many powers anyway, to the point that it isnt even beliveable. Its almost worse than Superman. is yuki off a Studio Ghibli film? 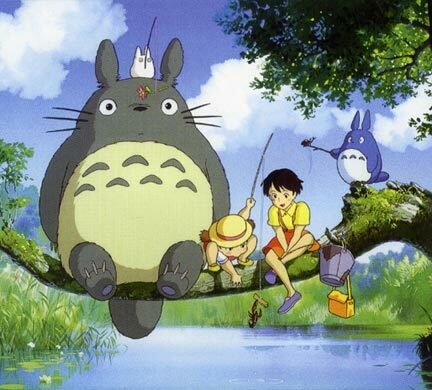 I like Studio Ghibli film's. they make me cry. cool. What age rating is it? And Superman is already pretty freakin bad. well, Boba wouldn't need psychic powers to kick someone's tail. he is a weapon, so that's enough right there. while Mr. High N' Mighty Anime Character That Can Explode Things With His Head is busy concentrating on how to destroy Boba, Boba would've already taken his gun out and shot his head off. You really like slicing, don't you? Then Boba would go in with Plan B, if his blaster did not work (I highly doubt he'd have to do this): Flamethrower/Rocket Missiles. Or his whip cord to trap yuki. Beating games does not make you a fan, I beat Halo 1 & 2 . This does not meen I am a Fan of halo. I beat Halo 1 in less than a month. I did it in like 2-3 weeks. I am still trying to beat Halo 2 now. I will wait for my friend, Lewis, to come down. Then we will complete it. Note* - I really want Halo 3. But, I haven't got an Xbox 360. Therefore I can't get it. Boba kills Jedi. They have mind powers AND lightsabers. Plus, they are the good guys, meaning they are favored by the book/script writers. Let's stay on topic, Green. Yuki could just banish Boba before he attacked. Sorry, Draco. I will now. Is there any power that this stupid character doesnt have? Go on an anime site kid, im sick of hearing you downgrade everyones opinions. You asked for reasons well I think you got at least 7 from different people, myself included. You just negate whatever anyone says anyways. Weather a BFFC member makes a point or not you just say that it wouldnt work. Anime characters are boring and almost all the same. They do completely unrealistic things ad basically have no boundries, thats why I dont like anime, whats the point when you know the person or character is basically unbeatable. Dont start a topic on a Boba Fett Fan Club website and expect to get all that many answers in your favor. NOW you can go give me negitive karma. i agree, your just crushing everyones opinions, we think boba would win. your just fighting everyone because no one thinks your silly anime character would win. you see at least bobba fett actually gives a fight and he's not some super powerful little girl. he fights realisticly, like saying a lightsabre would hurt him or kill him. not like oh boba could take 15 light sabers to the stomach and not flinch. Even Totoro could crush, Yuki Nagato with his awesomeness, and size! nah that white thing on his head could. how can he sit on that branch!? it would snap!